the open source chess engine of the Free Software Foundation. GNU Chess was initially written by Stuart Cracraft in the mid 80s, joined by John Stanback who contributed his own code to GNU Chess 2 and 3 which was laboriously and meticulously well-written . 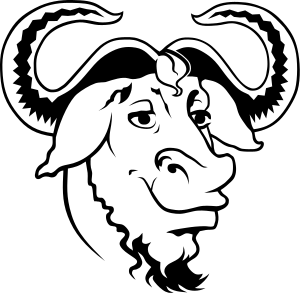 Dozens of developers have enhanced GNU Chess over the times. Version 5 was a complete rewrite by Chua Kong Sian, incorporating his chess program Cobalt and Cracraft's Gazebo . Fabien Letouzey is the primary author of GNU Chess 6, based on Fruit 2.1 . A 10 game match was conducted between GNU Chess 1.55 running on a Sun SPARCstation-1 and the strong commercial chess machine Fidelity Mach 3. Fidelity Mach 3 is officially rated USCF 2265 (2200 is master). Most observers acknowledge it is a true master. The match result was 7-3 in GNU's favor. After various corrections, we arrive at a putative rating of around 2330 (strong master) for GNU Chess 1.55 on this machine. This result was most unexpected since prior versions of GNU Chess had scored no more than 3 points out of 10 against the Mach 3. The big leap appears to come from: (1) the inclusion of Hans Eric Sandstrom's fast move generator and (2) the Sparcstation-1, which is (apparently) particularly suited to speedy chess processing. Minor modifications to the book, draw factor, and thinking on opponent's time have also helped. Please remember this rating is based on a short match result. Certain moves GNU Chess plays are clearly non-master in quality. Computer masters generally achieve their strength through accuracy of tactics, not subtle positional moves.